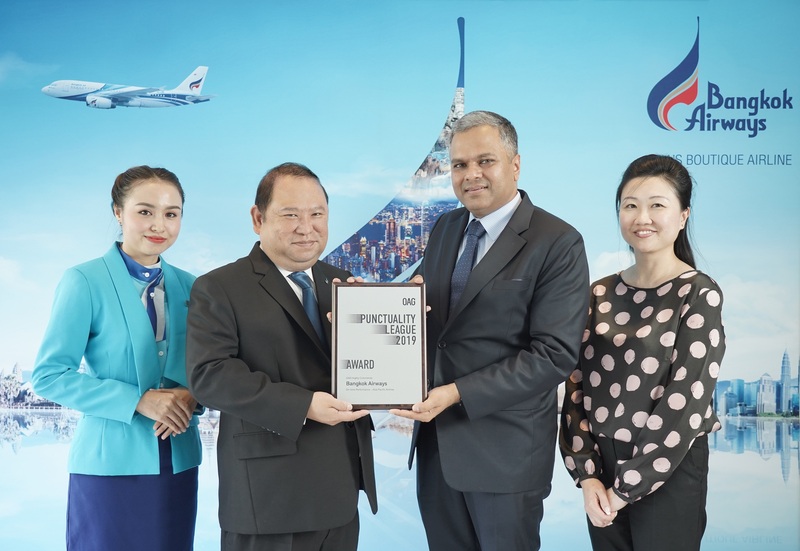 Bangkok / 11 April 2019 - Recently, Bangkok Airways Public Company Limited represented by Mr.Puttipong Prasarttong-Osoth, President (2nd from left) received The Most Punctual Airline Asia Pacific Award (2nd place) from OAG, represented by Mr. Mayur Patel, Regional Sales Director of the JAPAC region (2nd from right.) The commendation plaque presentation ceremony was held at Bangkok Airways’s Headquarter in Bangkok. Mr.Puttipong Prasarttong-Osoth, President of Bangkok Airways said “On behalf of everyone at Bangkok Airways, I am proud and honored to be ranked the 2nd most in Asia Pacific based on our On-Time Performance conducted by OAG and also ranking fifth overall an impressive leap from 32nd place in 2017. 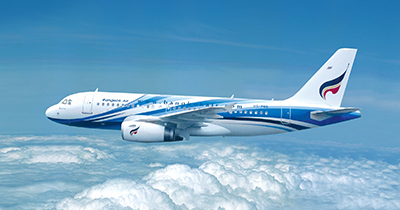 This recognition means a great deal of encouragement for the management and everyone at Bangkok Airways. We will continue to maintain our quality on punctuality performance with highest safety standard”. OAG is the world’s leading provider of travel data and insight, Punctuality League 2019 is the industry’s most comprehensive ranking of OTP for the world's largest airlines and airports. For more information, please visit www.oag.com.